In the 80s I watched the BBC TV mini-series The Life and Loves of a She Devil. It was kind of shocking and enthralling. It was magically dark, the graphics were well done for the time, and is now labeled a cult classic. 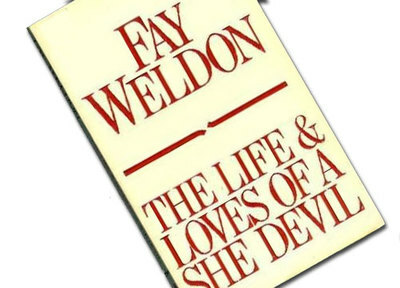 I was happily surprised to learn the author Fay Weldon lived in New Zealand as a child. Some time later I got to see the USA version, and then recently found the book in an op shop. Generally they say, the book is better than the TV or film versions. Not so, in this case for me. I am really glad I discovered and re-discovered these three components in the order I did. The big, ugly, clumsy wife has to make a new life for herself now the husband has run off with a glamorous romance author who makes her own money. The wife is focused and remains so for years in the effort to exact revenge and live up to the label given her by hubby.